If you love your coffee, why not give this a shot?! 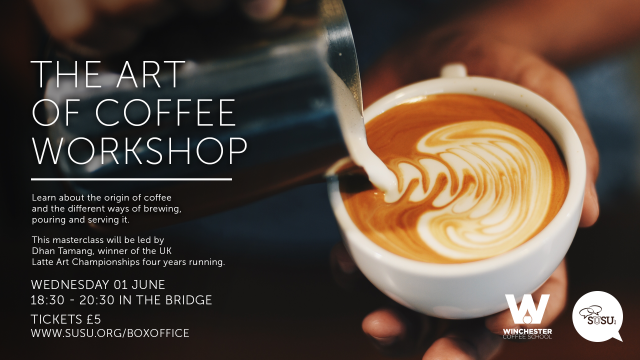 On Wednesday 01 June, The Bridge is hosting a Coffee Workshop led by coffee connoisseur, Dhan Tamang. Winner of the UK Latte Art Championships for four years running, Dhan will be teaching you everything he knows – including how to create ingenious latte art. From cappuccinos to flat whites, join us and learn how to recreate your very own favourite like a real professional! Tickets are just £5 and selling fast, so don’t be latte – get yours now from the Box Office. To find out more, join the Facebook event.